The volume assembles a rich and varied selection of this abundance of writing, showing London as truly unique in its immensity, and, ultimately, supremely representative of our modern urban world in the making. 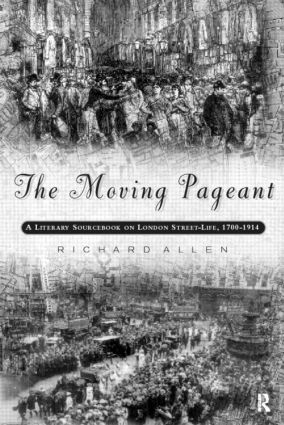 The Moving Pageant comes complete with a superb editor's introduction, illustrations, and biographical and critical commentaries on each of the writers' entries. It also displays many genres and styles of writing, and includes street-ballads, music-hall songs, excerpts from novels, epic poems, and documentary accounts of riots and executions, as well as descriptions of state pageants and processions. Rick Allen is Principal Lecturer in English at Anglia Polytechnic University in Cambridge.